Note: This blog is part of a series of posts grouped broadly along our three key, strategic themes dealing with the future of work & learning, energy and health. As our society is disrupted by increased globalization and technological change, we believe that entrepreneurship is the key to leading this change and building a better future. A future that includes greater access to quality healthcare, better ways of working & learning, and cleaner, more efficient ways of powering our homes and cities. The quality of our future will be defined by our ability to innovate, to lead change rather than simply respond to it. This is the work we support at MaRS. Health is a $200-billion sector in Canada. It is economically significant because it employs millions of knowledge economy workers and is fundamentally inelastic to the market, which isn’t exactly breaking news – people will continue to get sick and require care. We also know that the outputs of the health sector’s work improve both social capital and productivity, in addition to the overall health of our citizens. While all of this might seem to paint the ideal scenario for the “health” of this sector, there are actually many hurdles that it must overcome going forward. 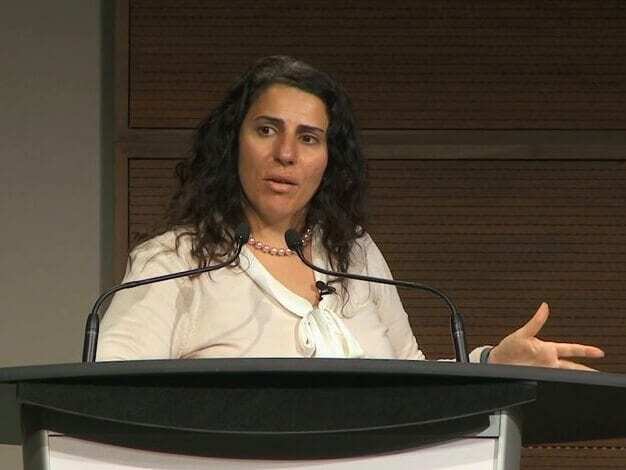 In this talk, Zayna Khayat, director of MaRS EXCITE, identifies challenges that the Canadian health sector is presently facing. Zayna says that a massive translocation of Canada’s health system is underway. Increased data and insights, as well as the empowered consumer movement, are all leading this shift to the health system of the future. From volume based to value based: we will pay for the value received as opposed to paying for distinct transactions. Watch highlights from Zayna’s talk below to learn more about the future of health. Watch the full presentation here.